David Tutera for Mon Cheri is a beautiful collection of wedding dresses for every body type. 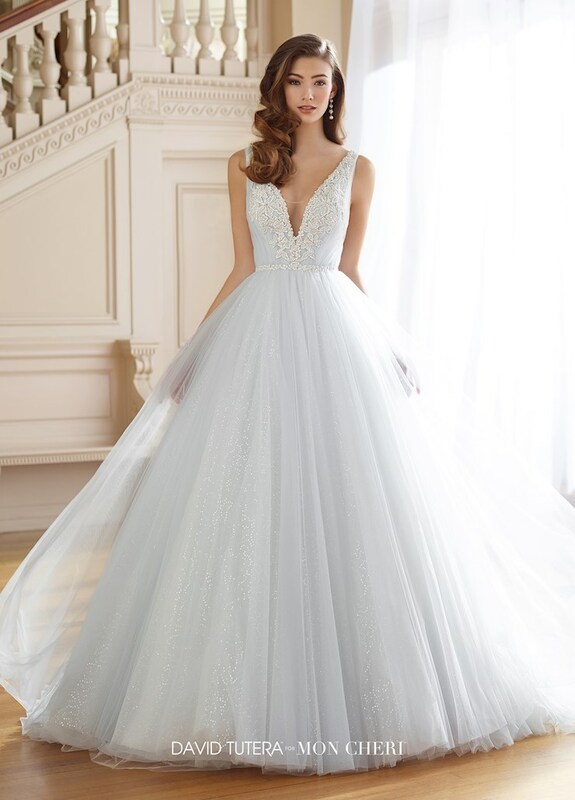 With spectacular pieces ranging from traditional ball gowns to the modern wedding dress, David Tutera is able to capture the personality of every bride. Hand-beaded Swarovski crystals and exquisite fabric is expected in these designs. Visit one of our showrooms in Glasgow, Louisville, Bowling Green, or Owensboro, Kentucky to try these beautiful designs!